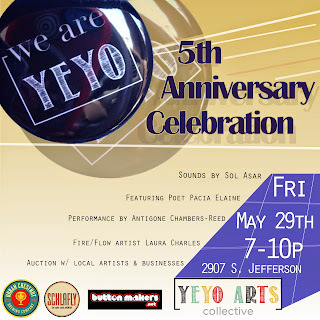 Yeyo Arts Collective: Five years serving Saint Louis and beyond! Five years serving Saint Louis and beyond! Click below to visit our Gallery! Supporting Membership starts at $50 a year. Supporting members recieve 10% our craft items and workshops the entire year! We accept gifts of any amount, or buy our art! Make a donation or special order now! 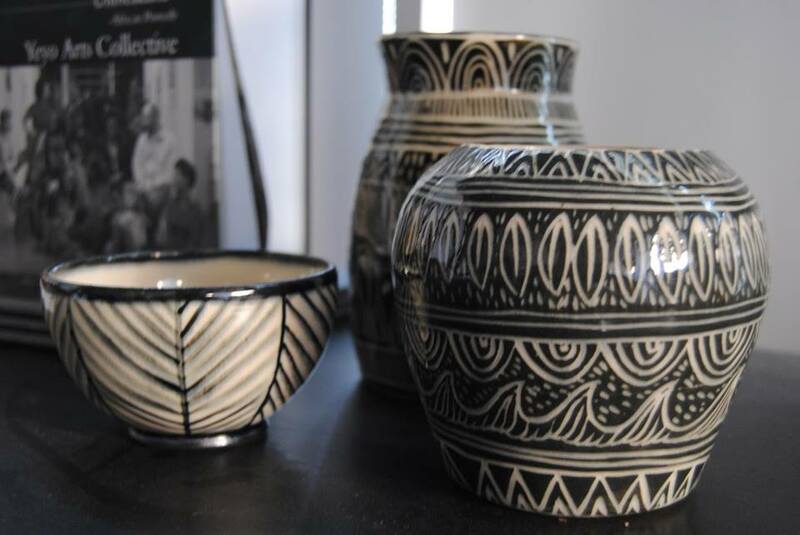 Raise money for Yeyo Arts Collective just by searching the web and shopping online! The trick to living fully is to not just wait for others, those with aesthetic visions, to capture what surrounds us daily in epiphanic flashes of art, photography, and story, but to see it ourselves--to be on the alert for it. Therein lies the real trick--to sustain a consciousness (one neither dulled by cynicism nor given to high drama) which is given to pattern, texture, shading, geometry, and perspective: to human pain, the tilt of a head, the slope of a shoulder or plain of a cheek; and to the rhythms of dialect, rumblings of technology, and the whispers of nature. Life is indeed montage, visual and audial, and each of us has an internal camera and tape by which we can record and be invigorated by our experiences. *This short writing was gifted to us by a wonderful activist and friend of the collective. She felt inspired to share this piece after visiting us, recieving our correspondance and visiting our blog. We are thankful for her sharing. We hope that you enjoyed her work. 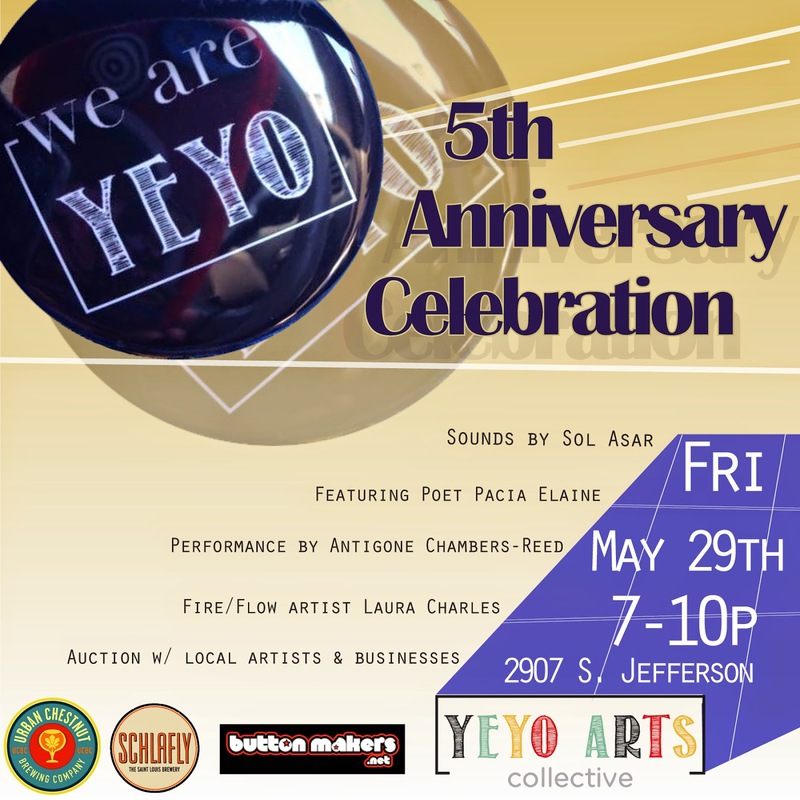 Yeyo Arts Collective is dedicated to women's art and topics surrounding women’s issues; including family, youth, and community. -We believe in empowerment through arts based learning. 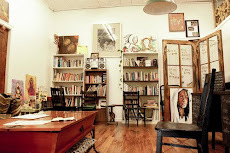 -We encourage creativity and inventive efforts in daily life practice. 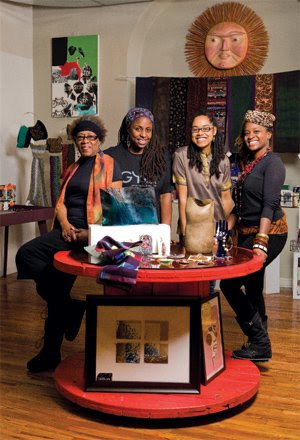 -We support independent, arts based entrepreneurial efforts. -As women we stand together, and against gender stereotyping in the arts and society at large. Together we operate Gya Community Gallery and Fine Craft Shop! Copyright Yeyo Arts Collective 2011. Awesome Inc. theme. Powered by Blogger.